We recognise it in ourselves: sweaty hands, heart racing, a sense of foreboding, confusion or even fear. These are the colourful impacts of our adrenaline coursing through our veins, responding to an anticipated situation of peril – an unexpected meeting, a difficult announcement, an overbearing colleague or, perhaps, a stretching deadline. The adrenaline responses are triggered in micro moments as a result of our brains’ extraordinary ability to pick up on smells, sounds, gestures, and a myriad of other subtle signals, linking with memories to create a cocktail of worry. Believe it or not, although the feelings of shock are often unpleasant they have a useful purpose. Shock helps us to recognise immediately when there is something not quite right, signalling that we are doubting our ability to manage. It allows us to anticipate difficult situations and respond accordingly. As hunter gatherers we may have chosen to flee or fight, but in the complexity of the modern workplace our responses are more nuanced. We often absorb the shock, fight it, even deny it so that we can keep going without openly expressing our thoughts, fears and concerns. But beneath the façade of normality the shock is real, the mind working overtime, creating unwanted feelings and thoughts. 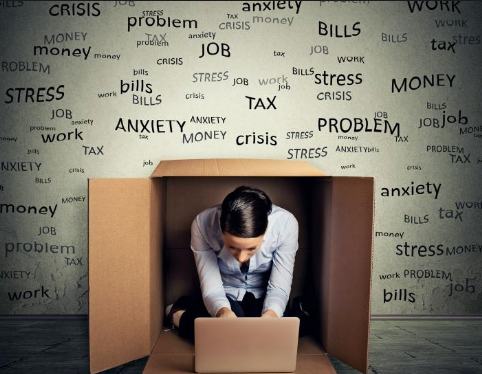 Unwittingly, we often make it hard for our colleagues and create a world where stresses can become layered upon stress, compounding the impact and creating whirlpools of anxiety. If you have caught yourself saying - “I know you’re busy but can you just do this?” you’ll know how easy it is to do. Also, as employers, managers or colleagues, we see their “work selves” and we have little idea of what stresses and strains they are experiencing at home. We create work environments, that prioritise openness and communication, but make it less easy for employees to escape – even for a moment. We shouldn’t, therefore, be surprised when an innocuous request results in an unexpected response – exasperation, anger, or even tears. So how can we help our staff respond to these feelings of shock in a positive way? First, we should all recognise that these feelings are normal and helpful signals that we are potentially unable to cope. Everyone should be encouraged to say when they are feeling this way and to describe how they feel. In describing their feelings, we can become more aware and better able to recognise them when they next appear. Secondly, as empathetic employers, we can create the space to regularly discuss the context of what is going on, causing staff to struggle. Ralph Stacey developed a helpful matrix that identified the “zone of chaos” where high uncertainty in roles and minimal agreement in organisational relationships created the perfect environment for stress and uncertainty. Simply understanding this can be invaluable in helping staff to creatively develop temporary plans to flourish. Finally, organisations need to work with employees to create safe spaces so that staff can work effectively during these times. These places may be physical spaces (quiet areas or alternative workplaces) or relational (perhaps mentors, coaches or colleagues who they can talk through issues). Responsible employers want their staff to flourish in all circumstances and at their best, business environments can actually provide stability for staff in our increasingly complex lives. If your organisation wants to understand more how unpleasant emotions can be used in a positive way, unlocking greater organisational resilience, then join us for an introductory workshop which explores these concepts. Developed by the Emotional Logic Centre, the Emotional Logic approach has been proven to help individuals and organisations with enormous benefits.